The Texas Longhorns football team represents the University of Texas in Austin, Texas. The Texas Longhorns are a member of the NCAA Division I FBS and the Big 12 Conference. UT began playing football officially in 1893. Since then, the school has won four national championships and 32 conference championships in football. The Texas Longhorns are a perennial powerhouse; one of the elite college football programs in the nation. The Longhorns are one of only seven programs to have over 800 victories. The home football stadium of the Texas Longhorns is Texas Memorial Stadium. UT is coached by Charlie Strong. Get access to all Big 12 football games, highlights, and replays on Big 12 Football Online. Watch Texas football games on the Longhorn Network, ESPN and FOX Sports. Find out where to watch Texas football online. 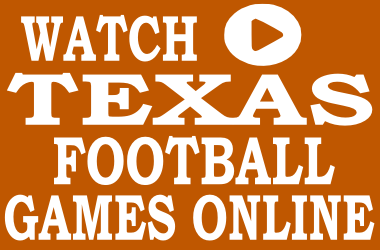 Visit Big 12 Football Online to watch the Texas Longhorns football game online. The official site of Texas Longhorns athletics is TexasSports.com. The Texas Longhorns head football coach is Charlie Strong. Learn more about Coach Strong, here. The University of Texas at Austin, often referred to as the University of Texas, UT Austin, UT, or Texas, is a public research university located in Austin, Texas, and is the flagship institution of the University of Texas System. The main campus is located less than a mile from the Texas State Capitol. Founded in 1883, the University of Texas has the fifth largest campus enrollment in the nation with over 50,000 students. Visit the University of Texas online at utexas.edu. TexasSports.com has a detailed collection of Texas football information including traffic tips and directions, Texas Memorial Stadium parking, UT Longhorns Gameday activities, and University of Texas maps. Texas Memorial Stadium is the home of the Texas Longhorns football team and is the largest football venue in the State of Texas. Texas Memorial Stadium opened in 1924 and currently seats 94,113 fans. 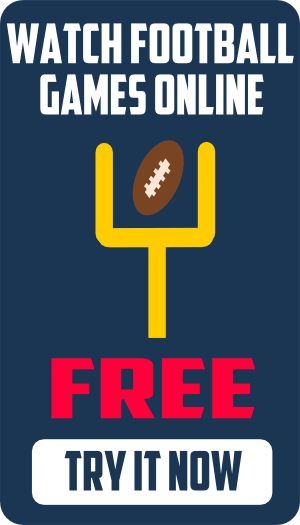 Get the best prices on tickets to University of Texas football games. You can comparison shop at one place online all the major sporting event ticket outlets at Big 12 Football Tickets. We offer the cheapest prices on Texas football tickets. The Texas Longhorns football team opens the 2014 football season with a game against North Texas. View the 2014 Texas football schedule at the 2014 Big 12 Football Schedule Grid. The Texas Longhorns football team mascot is Bevo, a Texas Longhorn steer that is burnt orange in color. Learn more about Bevo at Texas Longhorns mascot and traditions. Texas Fight is the official University of Texas fight song. Download free Texas Longhorns ringtones at Texas Longhorns fight song ringtones. Design you very own custom University of Texas Longhorns personal checks today. Download Texas Longhorns football wallpaper for cellphones and computers and University of Texas screensavers at our free Texas Longhorns wallpaper page. The most popular message board forums for Texas Longhorns football are the independent ShaggyBevo.com, Inside the 40 Acres, Horns House, and Horn Fans. Horn Hub…For those who are hooked. HornFans.com…News, articles, and notes on Texas Football. Burnt Orange Nation…Romancing each other since 2004. 40 Acres Sports…Texas Longhorns Athletics blog. OrangeBloods…The Best in Longhorns Sports. Longhorn Digest…Texas Longhorns Football from Scout.com. The Daily Texan….Official student newspaper for the University of Texas. Chron.com…UT Longhorns football from the Houston Chronicle. Statesman.com…Hometown Texas Longhorns football coverage.